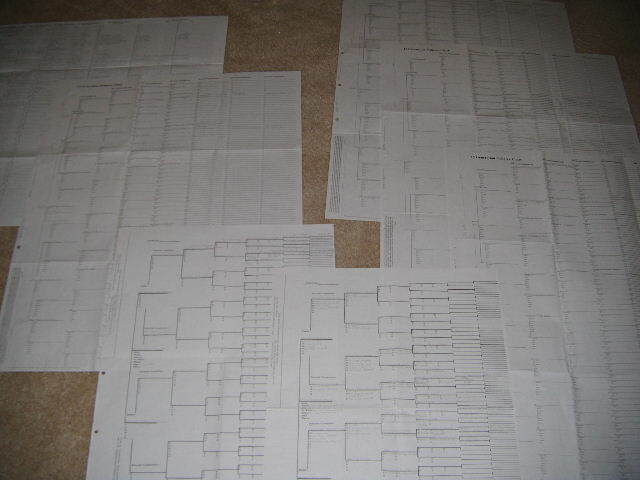 Do these genealogy charts make me look obsessed? 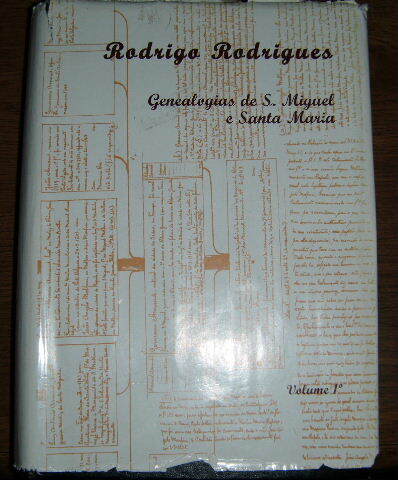 A couple of years ago, I came across the book “Genealogias de S. Miguel e Santa Maria: Volume 1” by Rodrigo Rodrigues. This is a compilation of the lines of 21 of the original settlers to the islands of Sao Miguel and Santa Maria in the Azores Islands chain. There are more volumes, but this was the only one available at the time. Rodrigues used previously compiled sources as well as his own research to piece together the descendants of these families. Although I can’t read Portuguese, I worked through the book with a trusty dictionary and vocabulary list. I was so excited when I found my ancestor, Antonio Medeiros Cordeiro, listed in the book. What an exciting feeling! As I worked backwards, I found that Antonio connected to a couple of the original settlers. I worked out each generation with satisfaction and glee. It’s not often you get so many generations at once when you research. Along the way, I became related multiple times to nobility. This isn’t as unique as it would seem. The Azores were first settled by minor nobles. It you can get your tree back before 1600, there is a very good chance you will hit one of these lines and it will take you back to Portugal in the early 1400s. I finished what I could with Rodrigo’s book. But, it never ends there, does it? Soon I wanted to know what happened before the 1400s before my ancestors arrived on Sao Miguel. I began working with online resources. I was somewhat dumbfounded at what happens to ones tree once you hit nobility. Many of these lines have already been worked out numerous times over! After much scribbling of notes and saving of research, my tree spread across Europe hitting Kings and Queens, Visigoths and Moors. There is some research showing the line going back to Mohamed, the Prophet which I’m still somewhat skeptical about even after a genealogist and scholar scolded me. I don’t doubt people’s research. I just can’t absorb the fact that one’s tree can be taken back so far. It’s almost embarrassing, like I’m bragging about my ancestors (where’s my inheritance, anyway?). It reminds me of when I used to host genealogy chat on AOL and people would come in to the chat room proclaiming their undocumented connection to Adam and Eve. Did I become one of those people? I sure hope not! Everything that I compiled came from research that had sources. So, even if I am incredulous, there is research done by many to prove these connections. As most of this research was done before me, my job was to find sources that would verify the information. I also wanted to find stories about these nobles to make them more real. There is plenty of information to be found on royals and nobles, but it can be confusing. The names might be recorded in a variety of languages and used multiple times within several generations. Women may be given names or they might unceremoniously be noted as something concubine #2. Some people use original place names, other use the place name in their own language. It’s often difficult to know if Alfonso and Affonso are the same people, and if they are, is Alfonso I different from Affonso III since it looks like someone gave them the same children? Whose on first? I don’t know…third base. I reached a point where I had exhausted Antonio’s ancestry. I input into my database everything I had learned. According to the research, I am the 44th great granddaughter of Mohamed, the Prophet and the 51st great granddaughter of Theodoredo, 4th King of the Visigoths. Yeah…sure I am. Really, I am! Still, it was difficult to visualize all of these generations. 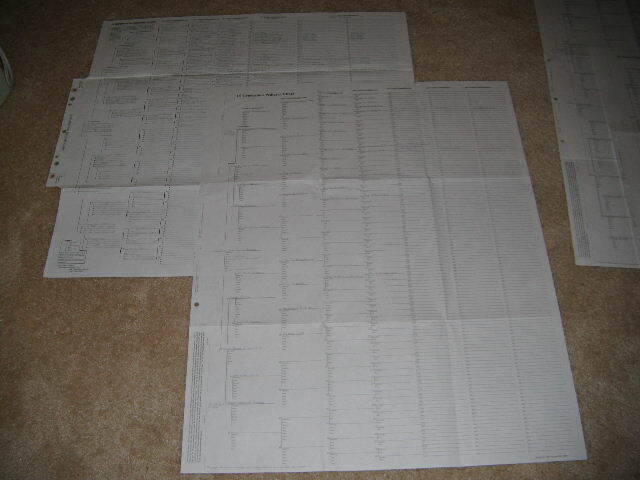 So, one day I got the idea to map it out by hand. There’s nothing like doing something piece by piece to help you absorb it. 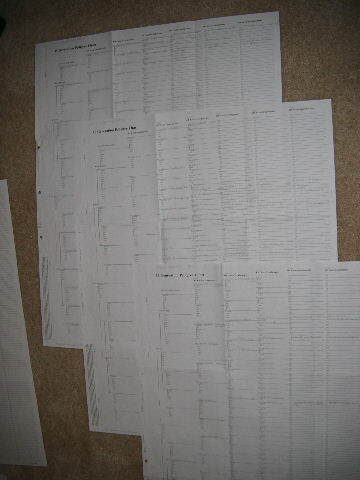 At first I bought a 30 generation single surname chart. But, that didn’t work since none of my ancestors carried down surnames for very long. 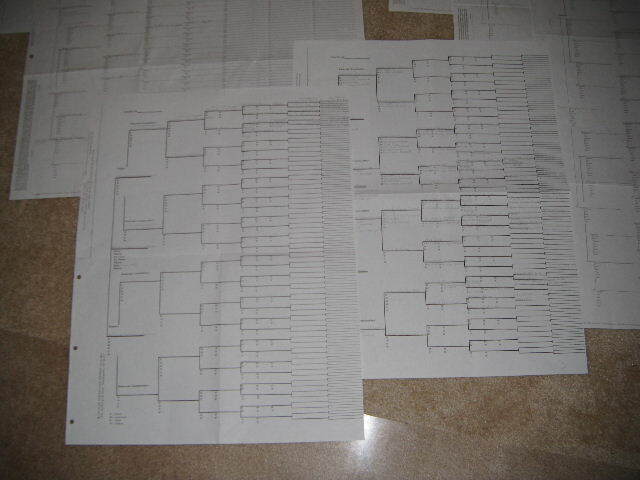 I ended up with several several two sided 15 generation genealogy charts and I mapped out the tree from my Mom to the last generation…in pencil, of course! And, then finally, the last three charts start with Diogo Affonso Botelho who was born ca. 1330 in Portugal and follows his ancestors across Europe. I have 101 different connections to Diogo because intermarriage over multiple generations. As an ancestor, he is my 19th great grandfather. Some may say this was a waste of time. 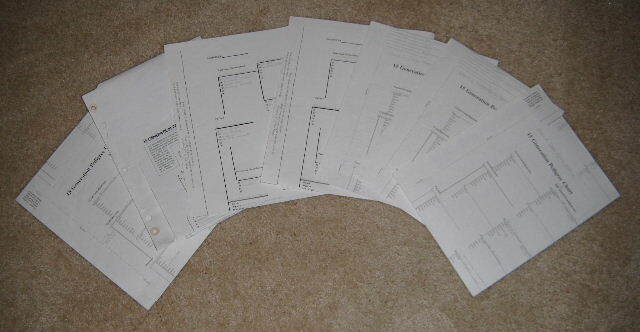 Why not print it out from genealogy software? I just couldn’t get the software to do what I wanted and print it in a way that didn’t take a ream of paper. Somehow writing it out by hand made me feel a connection to the research and made me understand a bit better how it is all interrelated. So, if you ever get back beyond 1400 in Europe, there’s a good chance you and I (and everyone else) are related. In fact, since I have some ancestors in my pedigree chart a couple of times, it looks like we’ll be cousins several times over, too. I once quipped that I am my own cousin after finding out that two of my Azorean ancestral lines intermarried in a different generation. Looking at my multi-generational charts and all the criss crossed generations all I can say is it really is the truth! Have you ever embarked on a project like this?